The most rewarding and safest investment you can make today is buying real estate. 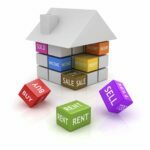 When you invest in real estate you have to take into consideration a number of factors and location is the most important of them all. Location of your plot will decide the present price, the future value and increase in price besides the interest of investors in your plot. Good location residential plots mean an increased interest by investors to whom you can sell your plot easily even in a slow market. A bad location plot is very different in this scenario and is usually a target for those who are looking for a bargain and lower prices. While you may feel that you are getting a good bargain when you buy a plot on a compromised location it usually becomes a bargain for another investor who will buy it from you later on a good price as well. 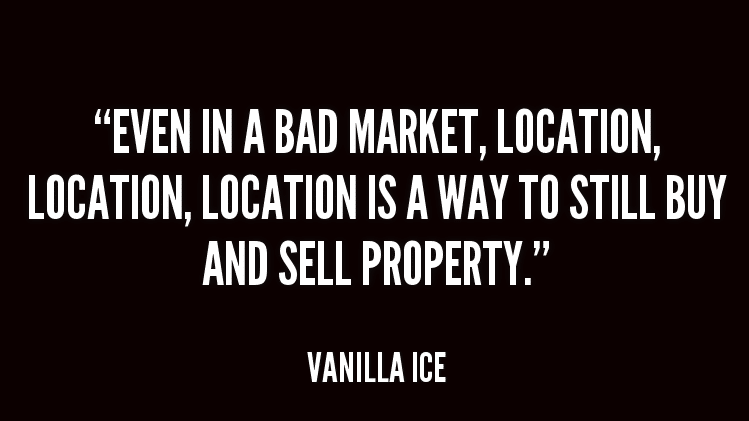 I personally suggest all my clients to never compromise on location, even if that means you have to buy at a higher price than the market at that time. 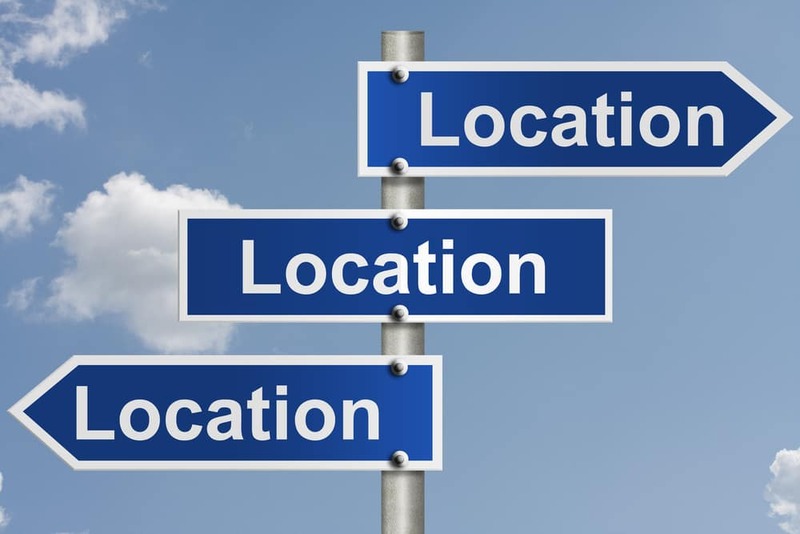 There are various factors that determine if a plot is on a good location or a bad location. These factors play a different role if you have a residential plot or commercial plot. Commercial plot location is much more complex and will be covered in a later article. This article will focus on residential plot location in regulated societies such as DHA, Bahria etc. Let us have a look on Six important characters that you must consider in a plot location before you buy it. One of the most important factors for a good location residential plots is how easily approachable and accessible your plot is. Remember you are going to build a house on your plot tomorrow and your guests, relatives and family members are going to visit you here. So just think about it will you be struggling in future to guide them how to reach your house or is it as easy as A, B, C. The best approach is usually 2 to 3 turns after the main road as there is a lot of traffic on the direct approach from main road and usually not advisable. When considering approach & accessibility it is not just about your plot but also the general location of the society in which the plot is located. You must take into consideration the approaches to the society and how it is interconnected to other societies and happening places in your city. A lot of traffic on the road where your plot / future house is located is usually not a good thing. That means you can not go out of your house for a stroll and your kids cant play outside the home. With traffic comes speed, noise, pollution and dirt so are you willing to compromise on that ?. In newly developed areas some plots which may seem very peaceful now, may not be the same after a couple of years once the population grows. The general rule of thumb for a good location residential plots is to stay away from high traffic zones. Unlike commercial plot where you want to look for a crowds, good location residential plots are in a peaceful area. A peaceful area is usually a bit private as well and that is a big plus for home owners. You want to spend your time at home where you are not bothered by what happens outside. It should be quiet and offer you a relaxing atmosphere without any outside noise and interference. How close are you located to the social center of your society. This includes clubs , commercials , parks, cinemas etc. However it is a bit double edge sword, so it is a plus as long as you are not right next to it and a big negative if you are. So stay a safe distance away where you can enjoy all these activities while not destroying the peace and privacy of your home. When you are looking for a plot, you must consider that it has pleasant surroundings such as good parks and should be away from boundaries, graveyards, waterworks, water tanks & grid stations etc. High transmission lines, Nullahs such as rohi in DHA Lahore are to an extent health risks. Dangerous chemical vapors from such Nullahs can cause your outdoor split units and there pipes to rust before time and above all the nauseating smell can be unbearable at times. It is also advisable to stay a bit away from water sources such as irrigation canals and sewerage drains as they can cause seepage issues in your house. A good location residential plot should be located in a secure area and not isolated from the rest of the society. It is specially important in our culture as no matter how good security is in your society, isolated plots or plots on boundaries do get neglected at times. Now that we know and discussed the few important characteristics of a good location residential plots in general and you know what will make your plot good or bad, it is time that we apply these rules on ground. This will help us to see further that how plot prices are effected because of them and how certain locations of plots can measure up to the characteristics above. to see how these effect the exact locations of our plots on ground. While main road plots have full number in approach they fail in almost all the rest of the characteristics of a good plot. In the unregulated societies where commercial activity could be conducted in residential areas, people used to prefer plots on main roads as they could give you huge profits or rental incomes. However in the modern society, they are more of a headache and do not offer any kind of extra profits. 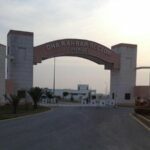 In societies like DHAKarchi, DHA Lahore and Bahria etc you can not conduct any kind of commercial activity on a residential plot so it kills the purpose of buying such plots any more. The inherited old psychology in our minds is still at play and some times for investment purpose we do consider such plots to be better than others. However in reality when the genuine buyer comes into play he does not want to build a house on a main road full of traffic and thus plots behind it ultimately go higher in value. Main road plots may be higher in price before the possession, however they are usually 5% less than the other plots in the same area after the possession. Pleasant surroundings is one of the important factors we discussed earlier and two side open plots offer that in abundance. It is not a common occurrence but in certain areas you may find plots who have a road on both sides. Such plots offer more privacy and better ventilation. It may not be a huge ranking factor but never the less it is one. Usually such plots are 5 to 10% more expensive than the other plots in the same area. A corner plot is usually higher in price than a non corner one. It is more approachable and usually offers pleasant surrounding. In addition when you construct your home over it, it feels spacious and airy. It also offers you an option to construct a double unit house with two different entrances and very suitable for bigger families. Corner plots are 10 to 15% more in price than the average plots in the same area. A plot which is facing a park is considered premium and plots with an easy approach to the park or at a walking distance are also considered good. Well maintained parks in societies such as DHA Lahore offer you a great opportunity to enjoy peace, greenery and tranquility.One of the main reasons DHA Lahore Phase 8 plots are expensive than it’s predecessors is the availability of big parks in every block. Usually these plots are 10 to 15% more in market price than the other plots in the same area. These are high traffic zones and a lot of noise pollution. When you buy a plot, you should stay away from commercial activity as much as you can. If your plot is just in front of a School or college it will be 10 to 15 % less than the market price and usually very hard to sell. The issue is that a School or College has a lot of traffic in the morning and afternoon. This also effects your privacy and it is always better to avoid roads which lead to the School. No matter you are religious or not, you do not want to have a house next or opposite a Mosque. The issue is that a lot of people visit the mosques every day for prayers and it totally eliminates your privacy. It is therefore better to have a plot with an easy approach to the Mosque but not so close that it interferes in your every day life. Similarly while all of us do appreciate the Adhan but you may not really like the loud speaker of the mosque right next to your room window. So yes stay near a mosque but preferably a street or two away so it is not more than 2 to 3 mins walk and you can easily hear all calls of prayer. Usually the plots right opposite or next to a Mosque are 10 to 15% less than the market price. Plots located near graveyards of grid station including high transmission lines are almost 20 to 30% less in market value. The main reason is that grid stations produce high magnetic field which can be seriously dangerous for health and as for graveyards arent we all scared of it ?. Plots on boundaries are not considered good because of various factors including security. Most of the plots located on boundary have a village or a sub standard society on the other side thus making the plot not very attractive for constructing home or investment. In addition sewerage and drain issues from the other society may effect your house as well. Such plots are at least 20 to 30 % less in market value. As discussed above there can be serious construction risks such as seepage. Bad odors and chemical vapors from drains can effect your health as well besides causing your Air conditioner pipes to rust and damage to your outdoor paint. Plots near drains and sewerage are 20 to 30 % less than market price. Now that we have covered each and every aspect in detail, it may help you understand how the price of a plot is calculated. There is no thumb rule though as some plots may offer some negatives yet it may have a positive side to it as an example consider a corner plot on a boundary or a facing Park plot with a school next to it. There are so many combinations available and in every plot you will have to see all the plus points and the negatives to find out its real value and worth. At the end it all comes down to your choice, the realities on ground and the budget available to you. A plot on the boundary with a reasonable society on the other side may not be so bad after all and a plot which is in front of a park which is over crowded may not be so good as well for your privacy. So it all boils down to what you may like and what you may not , however the guide lines above will help you eventually to understand how these things effect the plot prices and how you can bargain for best a better deal. Sir Thank u very much for detailed and very educating article we always benefit from your expertise..! Very informative and useful article as generally we receive from your side and Imlaak.